Sometimes only a survey will do!!! 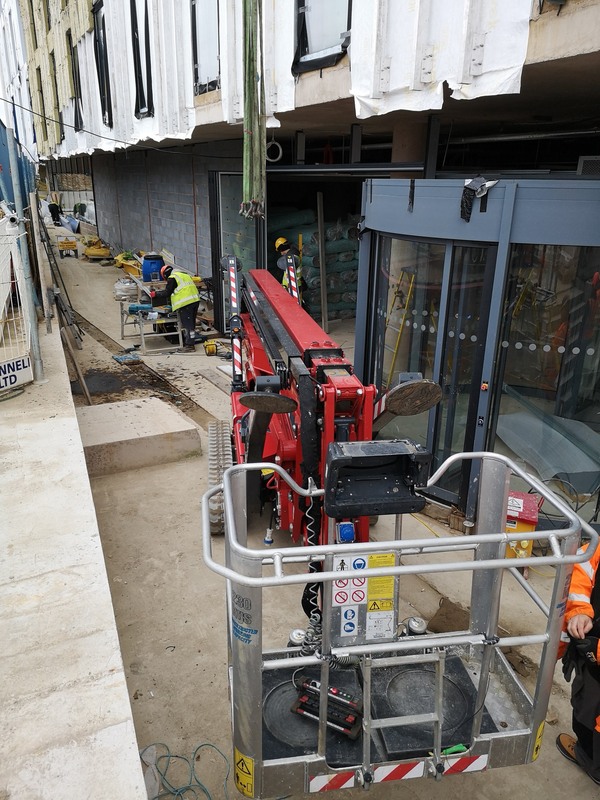 This project had a number of obstacles to overcome including getting through an entrance space with a revolving door in place!! 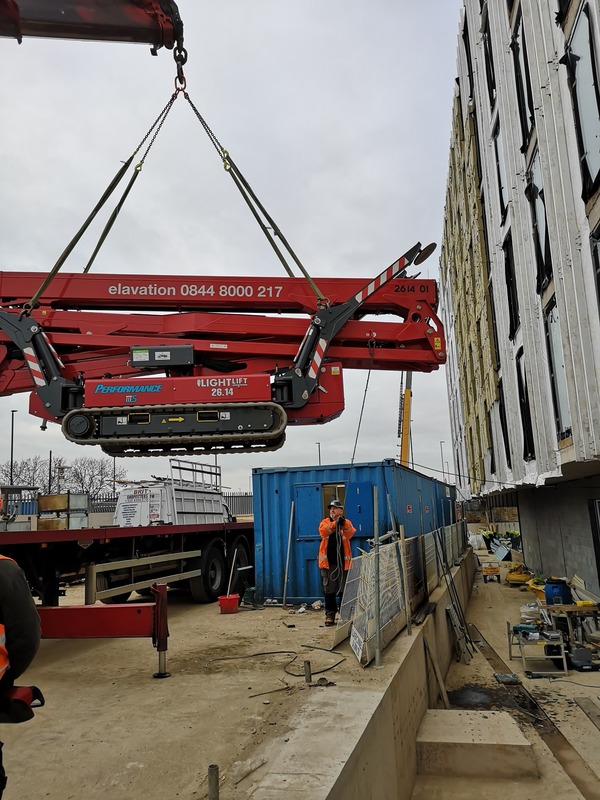 Our surveyor recommended the Hinowa Spider 26.14 tracked boom, outreach and compactness were a must!!!!! 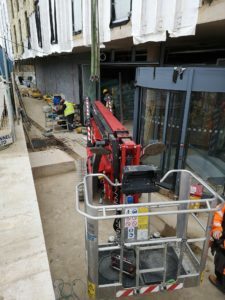 The next hurdle our customer had to overcome was how to get the machine into the entrance of the Hotel. 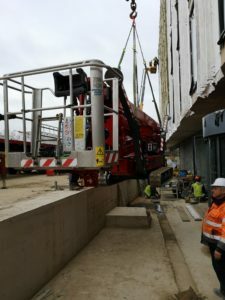 Our surveyor was on hand to supervise the Spider being hiab craned over and into the building ( see pics below). A Hire level of Service!! 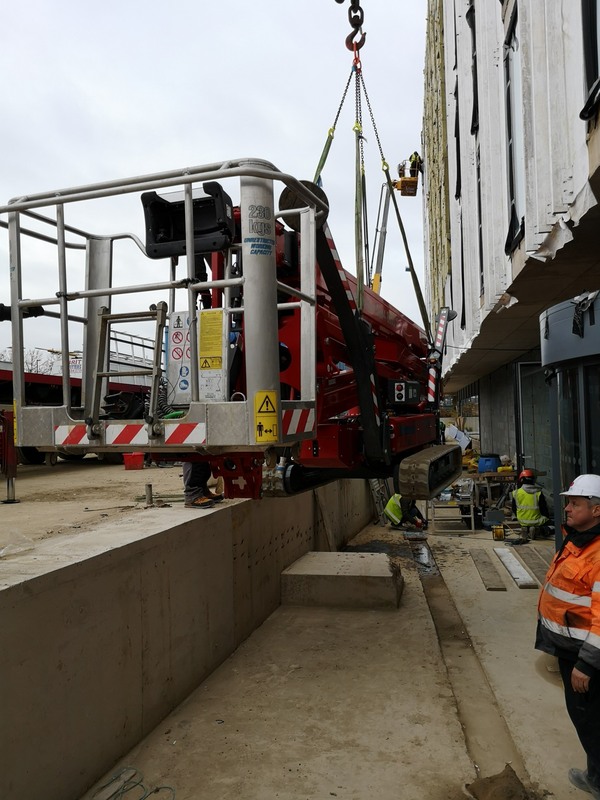 Give the hire desk team a call today on 01908 317602 for a quote on one of our tracked boom fleet or any of our innovative machines in our fleet of over 700 machines. 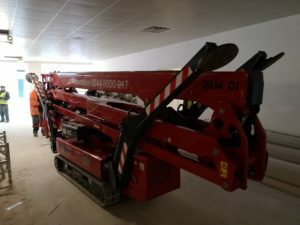 PreviousPrevious post:Going for Gold……NextNext post:New machines have landed….